The following post updates 7-Mode Transition Tool 1.2 - Quick Install Guide. Excellent New Feature: Inventory Collect Tool 1.4RC1! - Collecting inventory information about controllers, hosts, and host applications. - Assessing the controllers, hosts, and host applications to identify how these systems work in the Clustered Data ONTAP version selected for transition, and generate assessment reports. 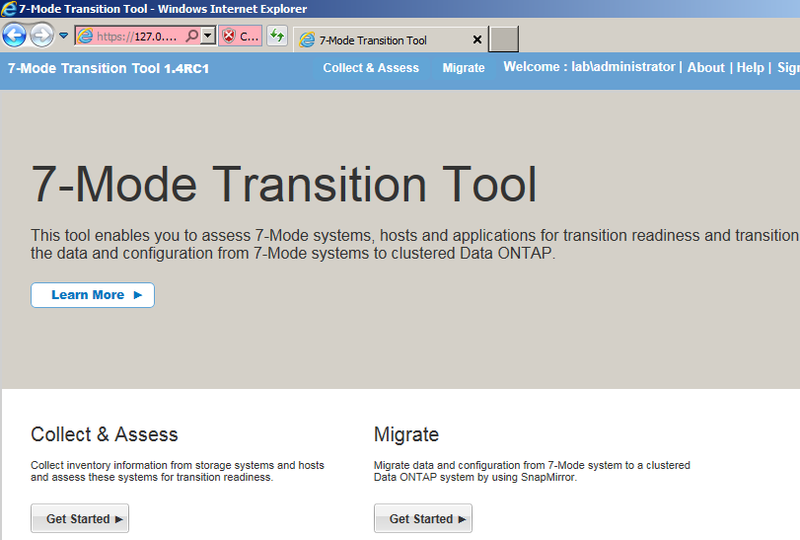 *To read the readme later see "C:\Program Files\NetApp\7-Mode Transition Tool\readme.txt"
You can toggle between the Collect & Assess / Migrate modes of 7MTT 1.4RC1 after logging in.